Lexus is increasing its focus on motorsport in 2017 with the all-new RC F GT3 race car. Aiming to strengthen the performance image of its brand and add a growing audience of race enthusiasts around the world, the new car is powered by a 500bhp, 5.4-litre V8 mated to a 6-speed sequential gearbox. The RC F GT3 runs on central locking 18-inch alloys, with stopping power coming from Iron discs brakes lurking underneath. The all-new car, now homologated by motorsport’s governing body, the FIA will participate in racing championships in the US and Japan, as well as a number of selected European races. 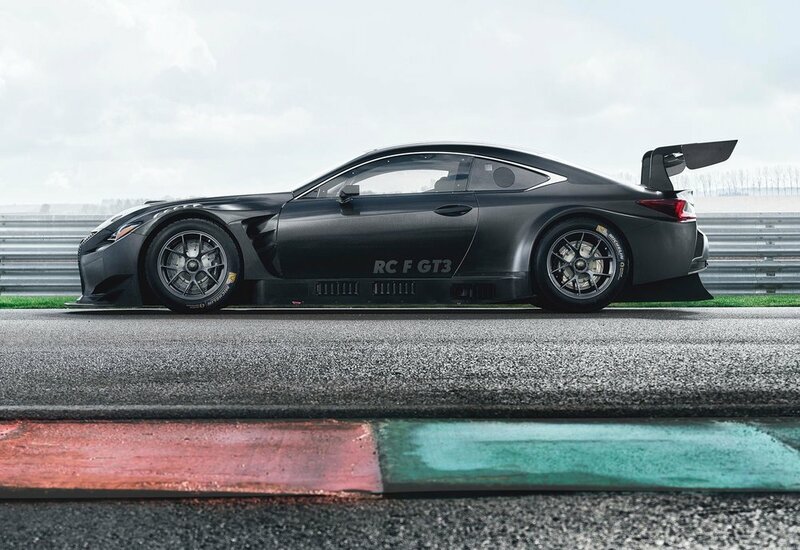 In the US, Lexus has supplied two RC F GT3 to the 3GT Racing team, to compete in the GTD class of the IMSA WeatherTech SportsCar Championship Series. In Japan, two cars are contesting the GT300 class of the Super GT Series with the LM corsa team. In Europe, two teams (Farnbacher Racing and Emil Frey Racing) competed in VLN Endurance Championship at the Nürburgring with RC F GT3 prototype vehicles last year. Both will continue their development work this season, aiming to compete at higher levels in GT3 racing in Europe in the future. On this basis, they will compete in European races in 2017, including selected events in the International GT Open series. Last year Lexus became the first Asian carmaker to win a VLN Endurance Championship race at the Nürburgring Nordschleife, with the RC F GT3 prototype claiming overall victory in the VLN9 race on 8 October. The new RC F GT3 will be on Lexus’ Geneva stand next week.